Galway native Gerald Lawless is to be rewarded for his sterling work for his contribution toward the Irish diaspora worldwide when he receives the Presidential Distinguished Service Award for the Irish Abroad for 2016. The Minister for Foreign Affairs and Trade, Mr Charles Flanagan, T.D., has announced the names of the recipients of the Presidential Distinguished Service Award for the Irish Abroad for 2016. The Award will be presented to Mr Lawless by President Michael D Higgins at a ceremony in Áras an Uachtaráin on December 8. The Presidential Distinguished Service Award was established by the Government following the 2011 Global Irish Economic Forum as a means to recognise the contribution of members of the Irish diaspora and the first awards were made in 2012. Gerald Lawless will be recognised in the category of Business and Education. 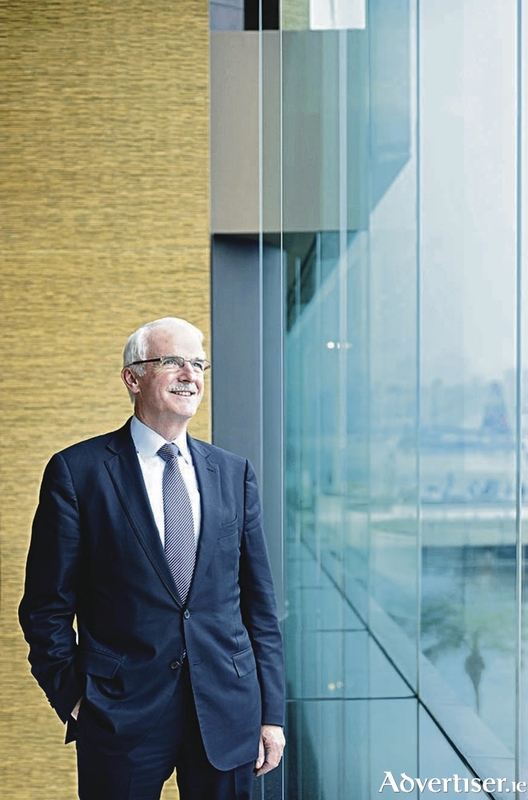 Mr Lawless has had a distinguished career in the hospitality sector in the United Arab Emirates, serving as CEO of the Jumeirah Group for 18 years and is a member of the Global Irish Network. This year he was appointed Chairman of the World Travel and Tourism Council. Throughout this time he has played a leading role in the emergence of a strong, vibrant Irish community in Dubai. As a prominent member of the wider Dubai business community, Mr. Lawless has used his position to advance Irish interests e.g. making it possible to “green” the Burj Al Arab Hotel. He is currently the Vice-President of the Dubai Irish Business Network (IBN ). Through the IBN he assists the Irish expats to find suitable positions and connect with companies to find employment in the UAE. Announcing the recipients of the 2016 Awards, Minister Flanagan said he is delighted that once again we have the opportunity to recognise some of the finest members of our diaspora for their contribution to Ireland, the Irish community abroad and Ireland’s reputation. “In the ever changing world we live in, this remarkable group of individuals have been a constant beacon for Ireland and the values we hold dear. Page generated in 0.2224 seconds.